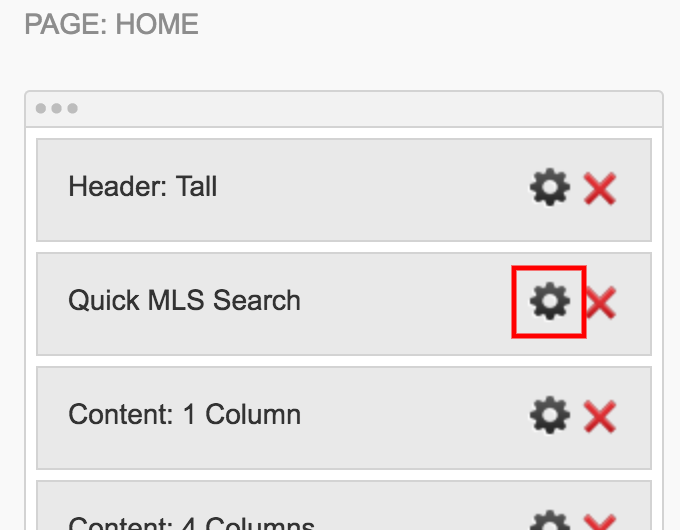 This guide will show you how to add a Quick MLS® Search widget to your website. It's useful when you want to provide a slimmed-down home search on a page (typically your homepage). 4. On the left you'll see a list of available widgets. Scroll down and find "Quick MLS Search", then click and drag it to the right pane and drop it in the order you wish for it to appear on your page. You have the ability to customize the Quick MLS® Search widget. In the PAGE LAYOUT & WIDGETS window, simply click the "Widget Options" icon to customize the widget. By default, there will be a light grey background set on the widget and no pre-selected areas. You can change all that and more via the widget options. Please contact our support team If you would like to change the colour of the "Search" button and/or change the position of the widget beyond these options (for example having it overlap your tall header) as some custom code is required. 4. 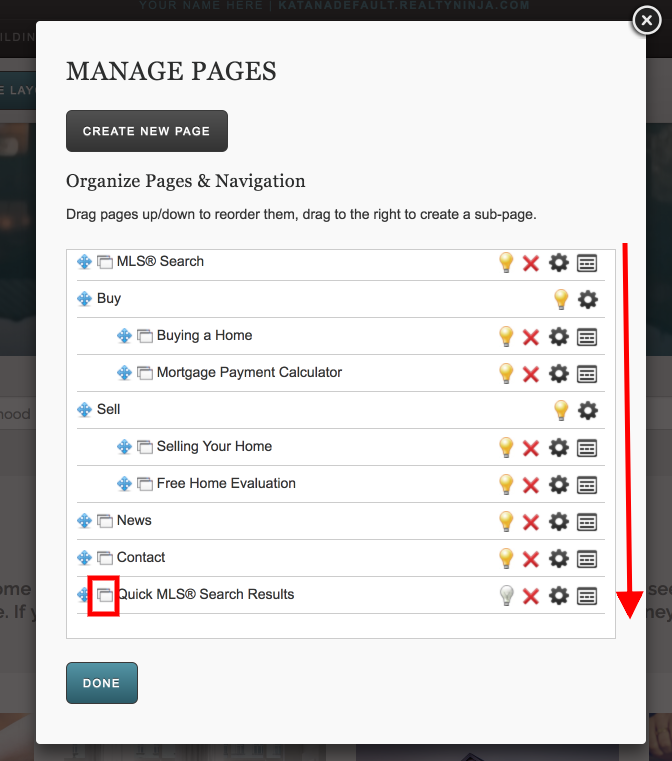 Scroll down to the bottom of the list of pages on your website, then click the "Go To Page" icon. 5. Once you're on the page, click EDIT THIS PAGE and make any changes you need. Then click SAVE THIS PAGE when you're done.